What Are Packs and Apps? Understanding our stock packs and the apps they contain. Before you start using Method, it might be helpful for you to understand what we're talking about when we refer to apps and packs. Method apps provide an interface for you to manage related data. 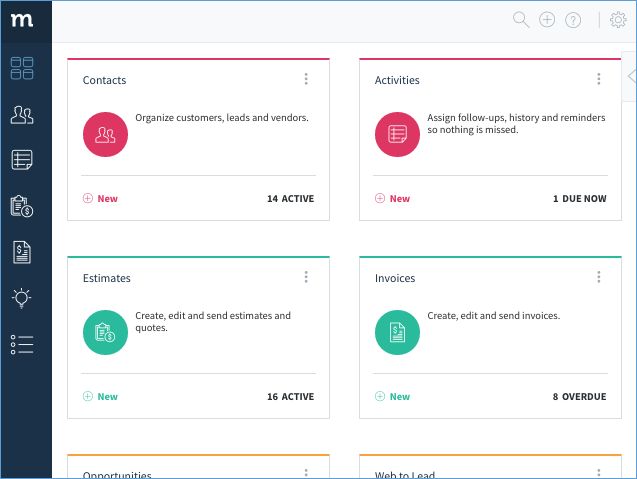 For example, the Contacts App's purpose is to manage your contacts, customers, leads, vendors and employees. Since data can be interconnected, i.e. a contact can have an activity, Method Apps are also connected to help achieve a smooth workflow. The Method Dashboard will display all the apps you have access to, and you can organize and colour these apps as you wish. One final thing about apps, they are customizable (check out our articles on customization to get you started). Every small business is unique so we provide a cusomizable platform to meet your needs. Apps are offered via Packs, which group individual apps together based on their related functionality. Below is an image of the subscriptions page listing out packs and the number of users added to each pack. Pricing is at the Pack Level. In other words, if you were to remove a user from just one app within a pack, you will still get charged for the pack. However, if you remove a user's permission from using an entire pack, then the pricing will be affected. We currently offer several major packs. There is only one required Pack for every user, and that's the Contact Management pack. The Accounting Lists pack comes free with every Method account. All other apps are considered add-ons as outlined on our pricing page. 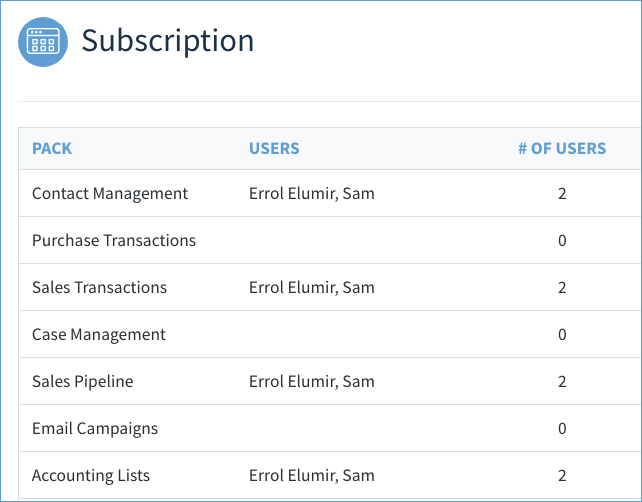 If you are in our trial, or you have signed up for CRM Pro, then you will be automatically subscribed to the Sales Transaction pack as well as the Sales Pipeline pack. The remaining below apps can be installed from the Add / Remove Apps link on the Method Dashboard. There is one final app specifically made for an industry, and that's the Donor Management Pack. It is a standalone pack that comes with the Content Management pack and is meant for those in the non-profit industry.